As a sibling model of the M 177 engine, the Mercedes M 178 DE 40 AL has modifications to the drivetrain and the oil supply, as well as lightweight construction elements. 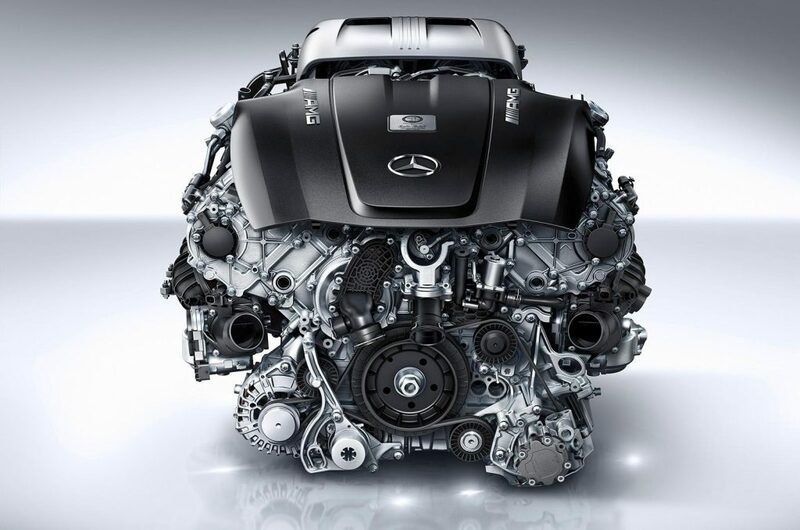 The powerful 4.0-liter V8 twin-turbo with direct injection is installed as a front mid-engine on the front axle of the AMG GT (C190), and comes with Getrag’s seven-speed dual-clutch transmission, which is mounted on the rear axle in transaxle design. 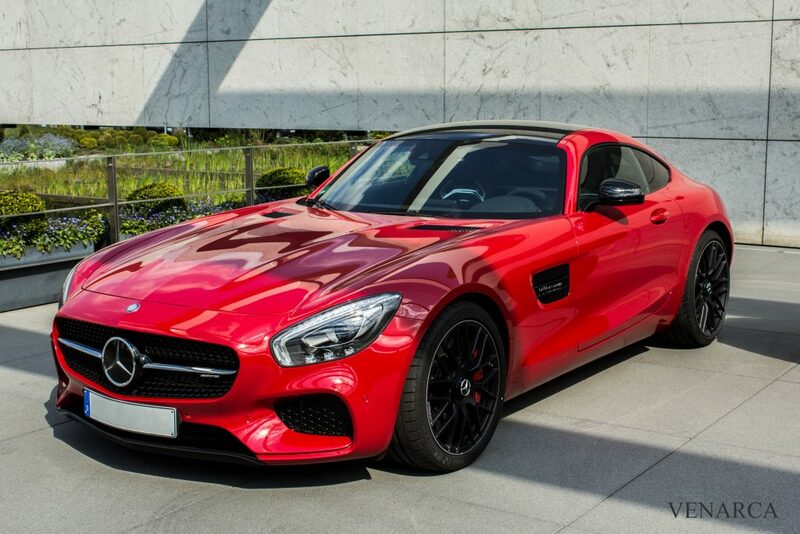 The 510hp (375kW) strong version of the AMG GT S catapults the 1645kg car in just 3.8 seconds to 100km/h. The engine transfers 650 Newton meters between 1,750-4,750 rpm to the crankshaft. 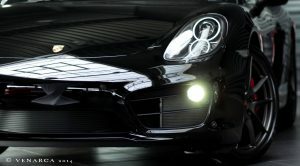 With its acceleration, the GT S is 0.2 seconds faster than the base model GT with ‘only’ 462hp. The top speed is electrically sealed at 310 km/h. The crankcase is made of an aluminum sand casting and the closed deck-construction provides high stiffness with low weight. The cylinders of the supercharged V8 petrol engine are angled at 90 °, while the cylinder heads are finished with a temperature-resistant zirconium alloy. Four overhead, fully variable camshafts allow direct response and improved fuel economy. The valve train is friction-optimized, and piezo injectors ensure precise direct injection, resulting in optimized fuel efficiency. 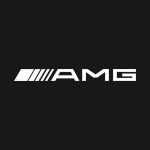 AMG is responsible for the high-performance vehicles from Mercedes-Benz. The brand is known for its high-performance V8 engines, each marked with a plaque signed by the fitter. 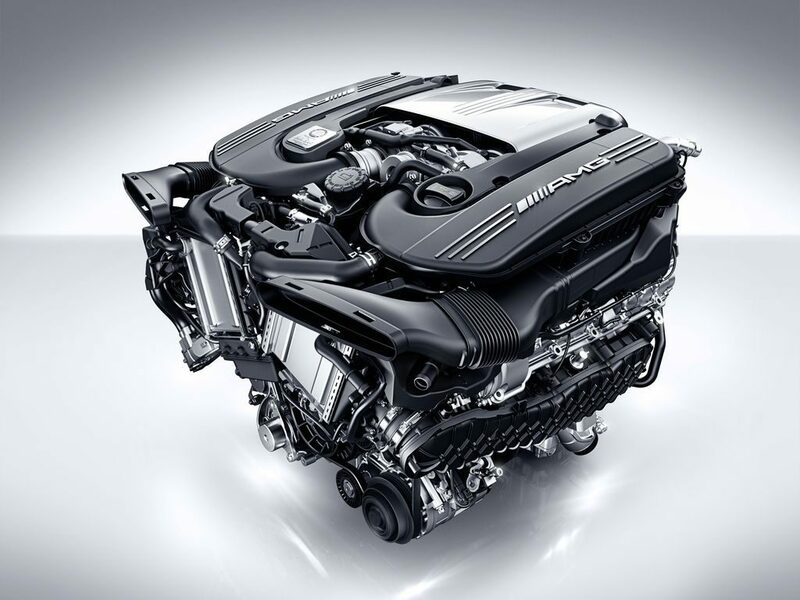 With the M 178, the Affalterbacher deliver a powerful V8 biturbo engine for the Mercedes AMG GT (C190). The biturbo of the Mercedes M 178 boosts the cylinders with a maximum pressure of 1.2 bar at a maximum speed of 186,000 rpm. It supplies the engine with 2.3 times as much oxygen as a naturally aspirated engine. For a narrower overall design, the two turbochargers are not located as usual on the outer cylinder banks, but are mounted in the inner V of the cylinder. 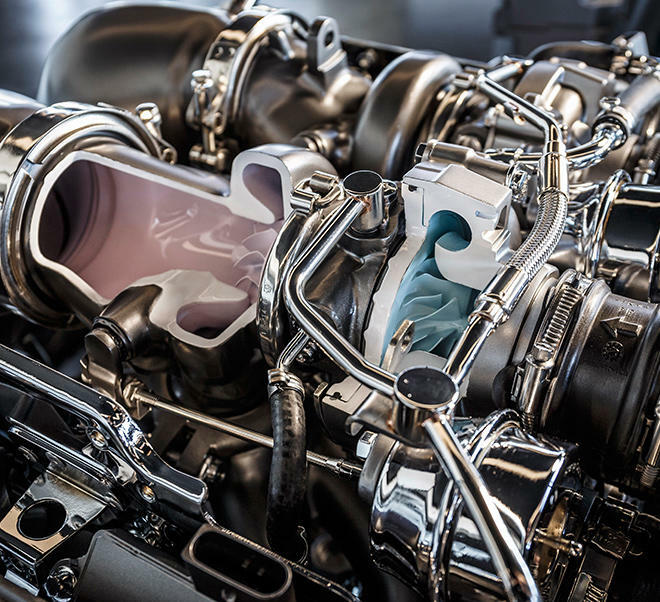 This promises, in addition to the lower mounting position, a more optimized fresh air guidance, since the turbochargers are more centrally in the air flow. Two charge air coolers ensure that the charge air heated by the turbochargers is cooled to a maximum of 25 ° C above ambient temperature before entering the combustion chambers. Dry sump lubrication does not require a conventional oil pan and enables a low installation position of the engine with low center of gravity. It allows for an active oil distribution by the suction pumps that are located under the engine. They transport the oil to the outside tank, and from there back into the cylinder heads. This setup is advantageous for the oil supply of vehicles with high lateral acceleration due to the direct extraction of oil from the crankcases. With a fuel consumption of 128hp per liter of fuel and an average fuel consumption of less than 10 liters per 100km, the M178 is powerful and efficient at the same time. In the current political environment, the future of big engines is uncertain. In the course of downsizing and the drive revolution with electromobility, increasingly smaller combustion engines are installed. The V8 engines are a tradition at AMG, and hopefully will stay with us for a while longer with their powerful engine sound.